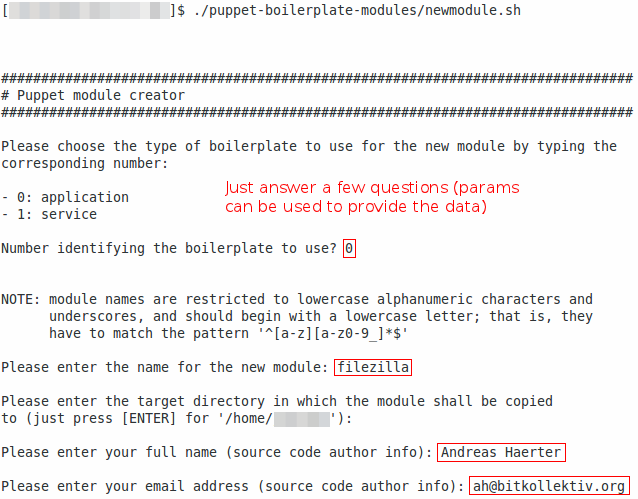 The puppet-boilerplate-modules-example-content repository provides example modules and rendered2) documentation (created with ). 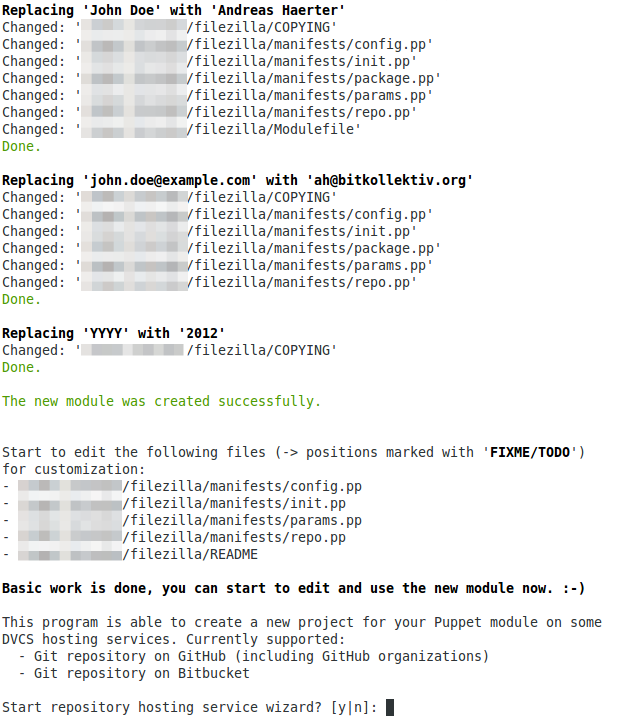 It should give you an impression of what to expect from and how to use puppet-boilerplate-modules and if the project might be useful for you. 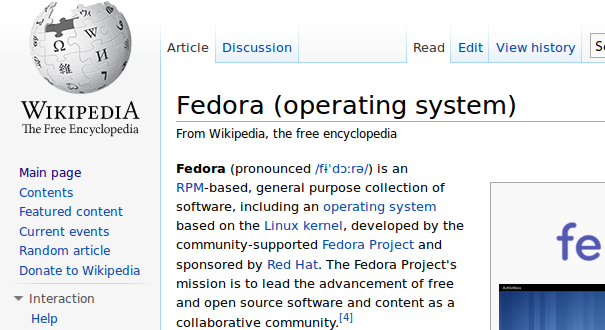 I'm fairly new to the Red Hat and Fedora Linux eco-system. 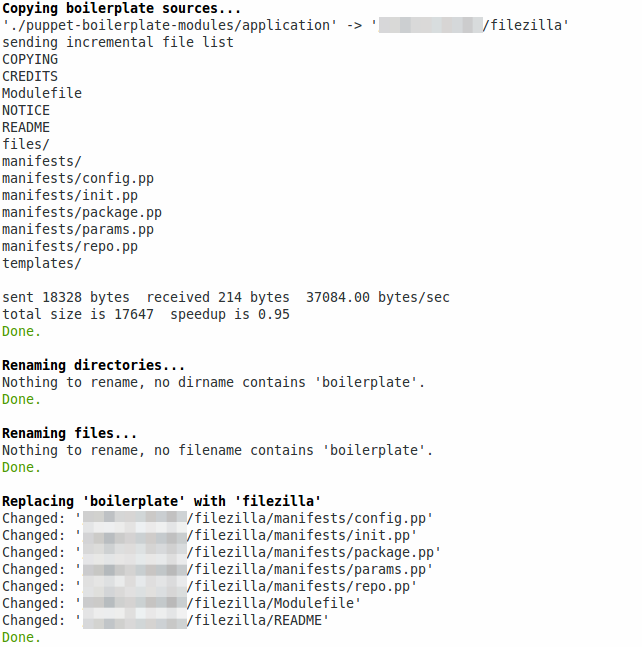 Therefore I just wanted to teach myself some details about RPM and YUM today, especially how to use the commands to handle package signatures and repository GPG keys.3) I noticed many unanswered forum postings during my research. That's why I decided to write this little blog entry, helping search-engine users to find more answers than questions. Puppet is a7) powerful open source tool to automate the configuration of and software management on Unix-like8) operating systems. This posting is a distillate of the resources I collected during my Puppet learning phase. 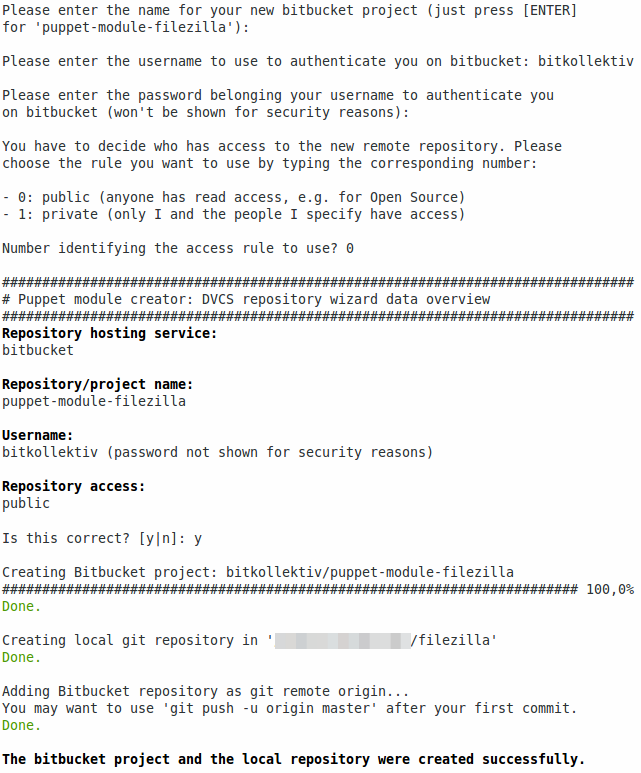 I hope it helps to get an overview about what Puppet can do for you and how to use it (plus providing existing Puppet users some new ideas or tips). Jeder, der Linux-Server verwaltet oder z.B. Linux-SOHO-Router10) betreibt, wird früher oder später mit dem Thema “iptables/Netfilter” (bzw. ip6tables/Netfilter6) konfrontiert. Oft hangeln sich die jeweiligen Administratoren und Benutzer dann via Google von HowTo zu HowTo, und zimmern sich mit gefährlichem Halbwissen eine iptables-Firewall-Konfiguration zusammen. Alternativ wird zu Shorewall oder vergleichbaren Projekten gegriffen. 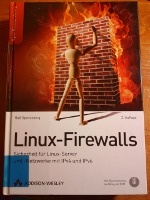 Falls man sich mit Linux basierenden Firewalls auseinandersetzen will, kann ich stattdessen jedem das Buch Linux-Firewalls von Ralf Spenneberg in seiner neusten Auflage empfehlen. Es ist sehr gut strukturiert und äußerst verständlich geschrieben, sofern man zumindest die absoluten Grundlagen eines Netzwerks hinsichtlich IP, TCP und UDP beherrscht. Der Autor führt den Leser gut an das Thema heran. Alles beginnt mit der Erklärung einfacher stateless-Paketfilter und geht dann über zu gut nachvollziehbaren stateful-iptables-Regeln. Es wird dabei genau für die Art von Grundverständnis gesorgt, welches bei einfachen Tutorials im Netz meist unter den Tisch fällt. Anschließend werden DMZ, transparente Firewalls, NAT-Router und vieles mehr mit iptables gebaut. Connection Tracking und dessen Konfiguration, wichtige Kernel-Parameter, Protokollierung und hilfreiche Werkzeuge nehmen ebenfalls einen großen Teil des Buchs ein. Auch das Thema IPv6 wird sehr verständlich betrachtet und das nötige Wissen vermittelt, um IPv6-fähige Firewalls betreiben zu können. Alles in allem kann ich das Buch uneingeschränkt empfehlen, auch als Nachschlagewerk. Ich schreibe absichtlich SOHO-Router: man will für gewöhnlich keinen 10GbE-Router mit iptables betreiben/bauen. If you are searching for a powerful laptop to run Fedora 15 Lovelock on, have a look at the Lenovo ThinkPad T420 4180W1G/4180PH1.11) It simply rocks. All the internal peripherals are working out of the box (LAN, WLAN, graphics, sound, microphone, webcam, volume up/down and mute buttons, brightness control buttons, eSATA…). The Intel HD3000 processor graphics runs smoothly. Even no problems with external monitors up to a 2560×1600 resolution or when using both the built-in screen plus an external monitor connected to the Mini Dock Series 3 45N6678 docking station. The Intel Core i5-2520M CPU provides VT-d and VT-x. So everything is fine if you want to run VMs. The built-in speakers are really bad, even for a laptop. The keyboard shows signs of cosmetic wear after a few weeks of usage. Microsoft tax a.k.a. Windows 7 Professional 64bit. At least, you can use the pre-installed Windows to update the laptop's firmware with a few clicks before installing Linux. And the license may be used to run a Windows 7 VM (although the laptop is shipped without installation media, you can download the original Windows 7 ISO images from Digital River). I can't tell if the fingerprint sensor and the Class 1 Smartcard Reader are working out of the box because I do not need nor did I test them. But the Smartcard Reader is at least recognized by the OS. When using the Mini Dock Series 3 45N6678, the analog sound line-out is not passed-through (everything else works). This means you still have to use the laptop's headphone connector to connect speakers. If you are looking for similar models out of the T420 family, you should know that some of them got two graphics adapters (a combination of Intel and NVIDIA). I don't know if these make any trouble or need special configuration because the 4180W1G/4180PH1 comes with Intel graphics only. Tip for German readers: Studenten, Lehrer, Lehrkräfte und wissenschaftliche Mitarbeiter bekommen das ThinkPad T420 4180PH1 bei Brünings + Sander mit erheblichem Rabatt. Ich habe nichts mit der Firma zu tun und bekomme auch keine Provision. Aber meine Erfahrungen mit B+S waren bisher stets positiv. Don't get confused: 4180W1G and 4180PH1 are two model numbers for the same hardware. Reboot or restart the network. Your WLAN should work now. Note: I tried several things before. Known solutions and b43-openfwwf were not able to provide a stable connection when using WPA2. Same for other versions of the proprietary Broadcom firmware. well: this is not true for all option models. But most of the ones shipped with FreeDOS instead of MS Windows were damn cheap. Font rendering is a matter of taste. However, I personally think Ubuntu's default font rendering is the most eye-pleasing one of the whole Linux eco-system. And if a website's CSS font stack is looking good on Ubuntu, you can be relatively sure that it also works for Mac or MS Windows as long as the used fonts are available on these platforms. It is not hard to get the same font rendering on Fedora. This text is just a bit longer than a few commands because I try to provide additional background information and useful web-search-keywords which you may need if you have other targets than a 100% Ubuntu-like rendering. Font hinting and the used font hinting method. Font rasterization. Especially the used anti-aliasing method and its strength. The used font rendering engine. The one shipped with Fedora comes without subpixel rendering (more on this later). This shows that Fedora does use grayscale anti-aliasing, a stronger font hinting style and no subpixel rendering by default. 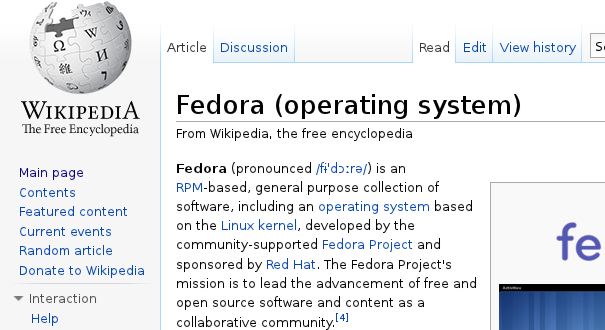 This is the reason why the same fonts look different on Fedora and Ubuntu. su -c "yum install freetype-freeworld"
You should know that subpixel rendering is patented and therefore not completely free (as in speech). Using this package might not be legal in your country. The choice is yours and it is your legal responsibility to make sure that the software you are installing can be legally used. su -c "yum install gnome-tweak-tool"
su -c "yum install dconf-editor"
Please read the Ubuntu Font Licence for all the rules that govern the use of the fonts. If you want to go any further, you should know some things about the fontconfig system. First of all, it is controlled by *.conf files. Fedora is looking for them at the /etc/fonts/conf.d/ directory and they get imported in alphabetical order.14) Please note that every file in this directory should be a symlink pointing to a real config file located in /etc/fonts/conf.avail/. This makes it possible to deactivate settings by deleting the symlink in /etc/fonts/conf.d/ without loosing the corresponding config file in /etc/fonts/conf.avail/. It is also recommended to follow the rule “one setting, one file”. This makes sure you always know which files configures what. All settings at /etc/fonts/conf.d/ are affecting all user accounts and therefore you need root privileges to create or edit the files. If you want to influence only a specific user account, it is also possible to place files in the user's ~/.fontconfig/ directory (simply create it if it is not already existing). I assume that your display is using RGB pixels (the subpixel layout test page can help you to verify this). If your monitor is using BGR, V-RGB, or V-BGR pixels, you might want to use another anti-aliasing setting than rgba. Edit 2011-07-21: Here are the demanded screenshots. You can use your keyboard to navigate trough them (← and → key). The last one shows a terminal with Ubuntu fonts.